A Happy Christmas to you all. May the Divine Child, His Immaculate Mother, and the Glorious Protector of the Holy Family bless you at this time and in the New Year. December 26 is the Feast of St Stephen. 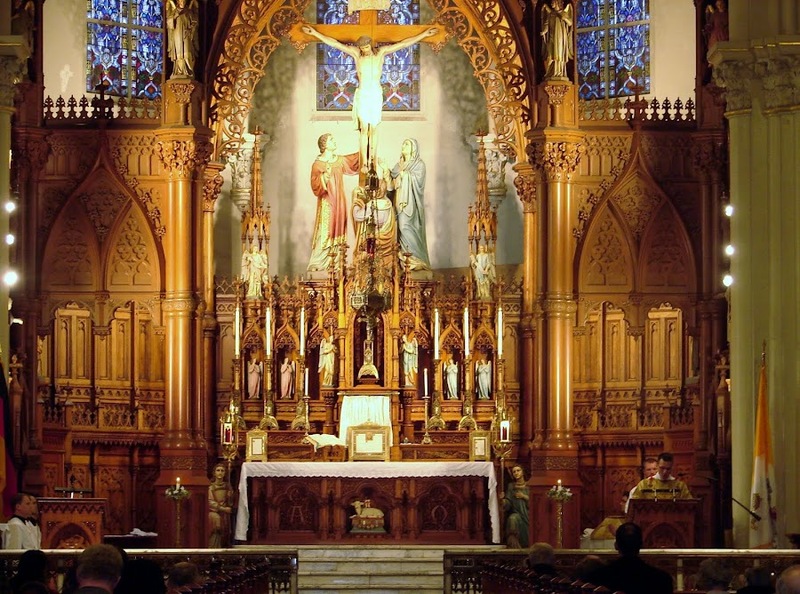 There will be no regular 7am mass on Tuesday, but the parish will celebrate with a Solemn High Mass in the evening, at 6:30pm. A Friend wants us to take note of the following. 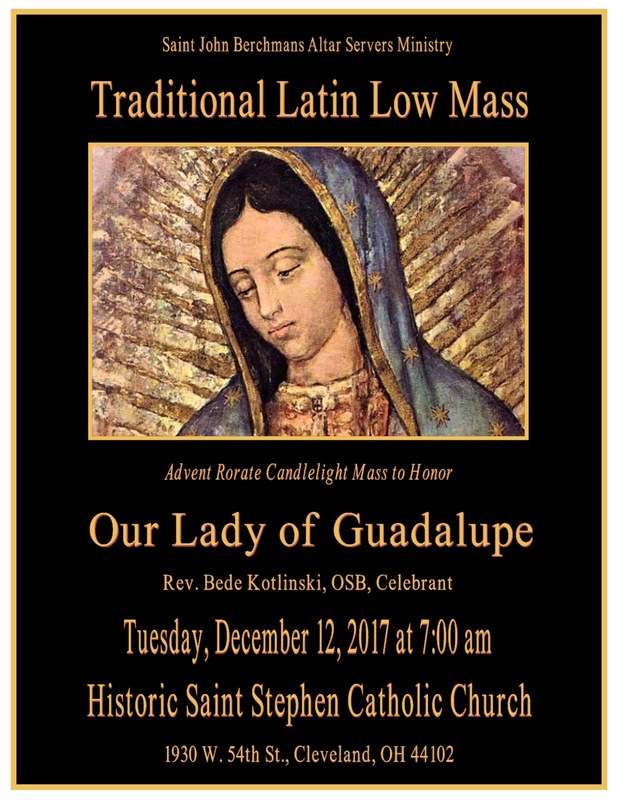 There is a new sacred music singing group that has formed featuring some folks from the Latin Mass Community in Cleveland. The group's name is Cantualis. 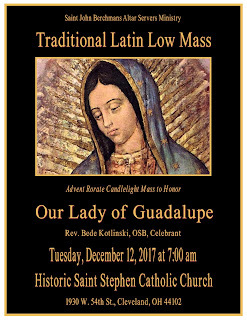 We invite you to their concert on Tuesday, December 19th, at 7:30, at St. Stephen's on West 54th St. in Cleveland. They are singing Lessons and Carols, and some other selections. Come and immerse yourself in prayerful beauty!